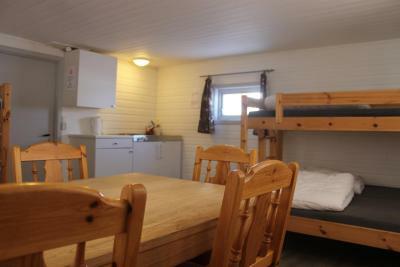 Lock in a great price for BaseCamp NorthCape – rated 8.5 by recent guests! 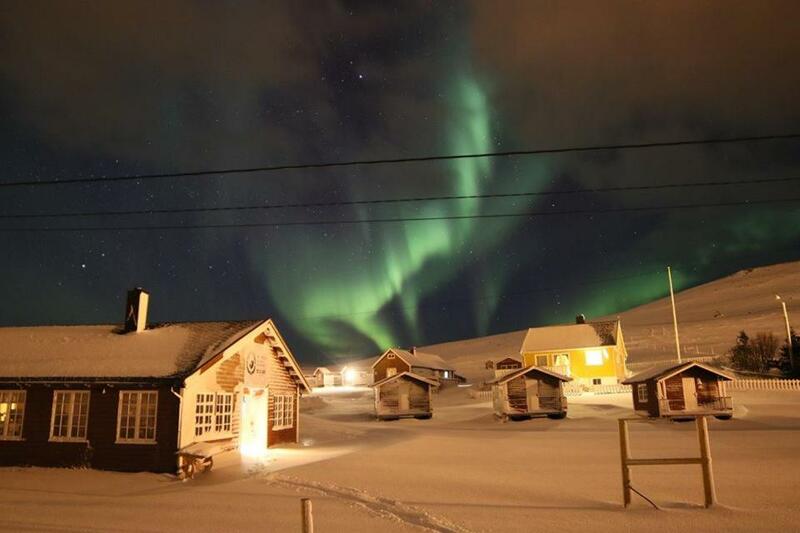 We get to see Northern Light during our stay! Our girls have fun time playing with the thick snow. We get to experience snow shoe walking too. 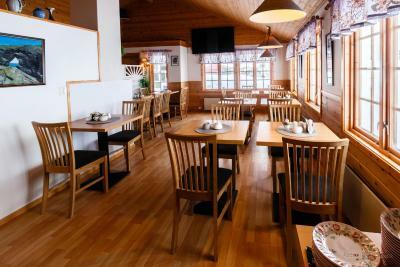 Prime location if you are planning to visit Nordkapp. Manager (Pascale) was very helpful. It was a very smooth experience something you are looking for a fun trip. A lot!! The rustic cabin was very comfortable and warm. The beds were great! Per was quite helpful with directions and suggestions for things to do in the area and also in the rest of the country. The surrounding area is beautiful for hiking. 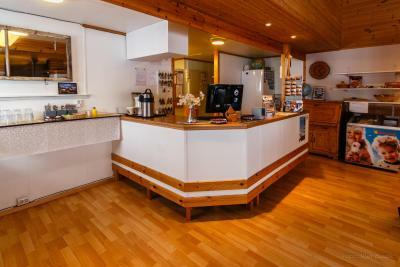 The location was wonderful and the kitchenette was just right for making soup and warm sandwiches, coffee and hot chocolate! Bring you own can opener, though. We forgot to buy salt and pepper but Per war kind enough to let us borrow some for our stay. We saw northern lights from the cabin porch! Very exciting! Got the cabin with private shower and bath. Brought my wife and four daughters. 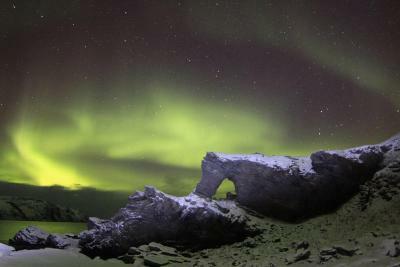 They had fun running around land and at night we got pictures of northern lights. One of the heaters was not working when we got to the room. I messaged the front desk and he came immediately and swapped out heater within minutes. He was super nice and professional. I highly recommend this place. The cottage was really nice and cozy. It was warm, whilecit was windy, rainy and cold outside. The location was great to see the North Cape - just 13 km away. There were reindeer frequenting the camp. Location was great! Close to Nordkapp & great hiking out the door. Very good location, there is a nice short trail right above the camp. 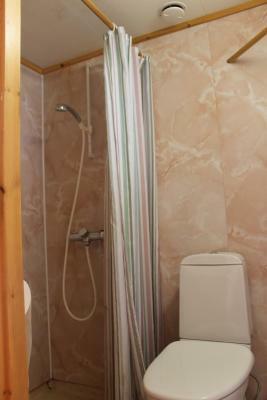 The facilities are appropriate (kitchen, showers, WC). Small, nice and very clean. Bathroom (clean), showers (super clean and brand new) and kitchen were shared (I believe they have in-room options too). Wifi works well. 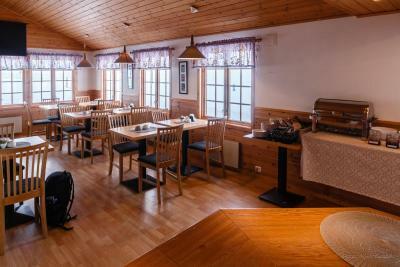 They also have a good small restaurant (salmon is excellent), which is useful because Skarsvag is a super small village. 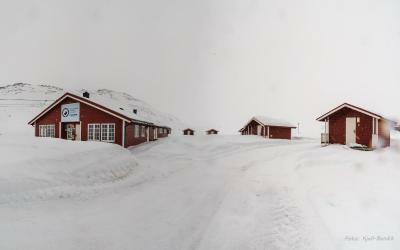 It was a great luck to find a room so close to North Cape. That’s the obvious reason to stay overnight if you’re travelling there. Truly fantastic Arctic view. 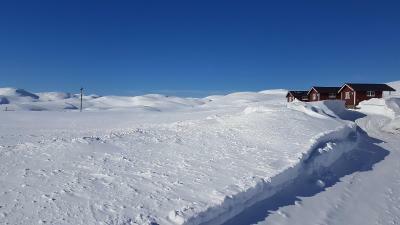 The Skarsvåg village is not that close to go on foot, especially in winter, but you can just walk outside, climb the hill and make friends with local reindeers. 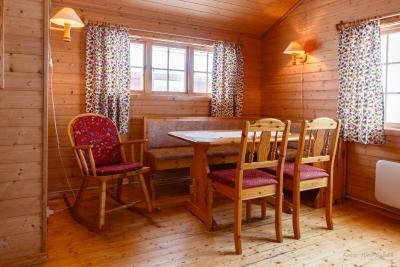 The small wooden cabin is warm enough and has everything you might need - even a rocking chair. It was easy to check-in and check-out even though we arrived off working hours. 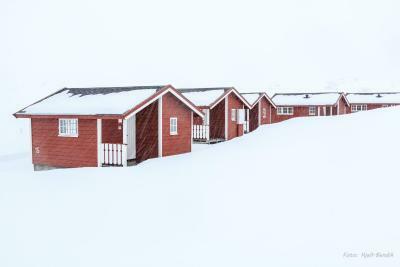 BaseCamp NorthCape was a great place to stay the location is amazing and the cabins are a lovely experience. We loved our stay. 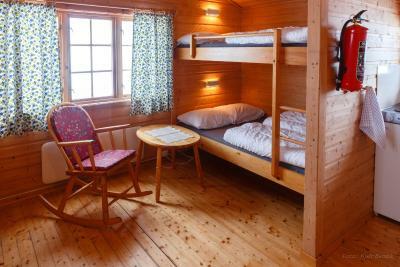 Set in Skarsvåg, Norway’s northernmost settlement, this camping site offers cottage accommodations just 1.2 mi from the iconic Kirkeporten rock. 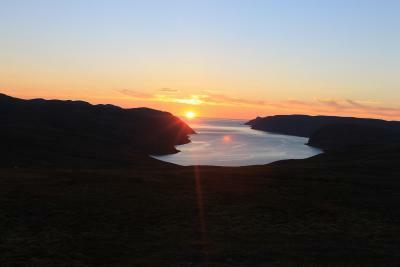 Guests can enjoy scenic hikes under the midnight sun or a boat trip from Skårsvåg’s harbor. 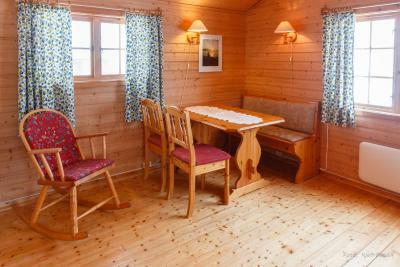 With a variety of styles, Kirkeporten Camping offers cottages with simple pine interiors. 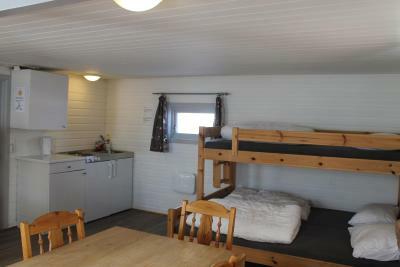 Each comes with a cooking hob and fridge and some have private bathroom facilities, while others have access to shared bathrooms in the service building. 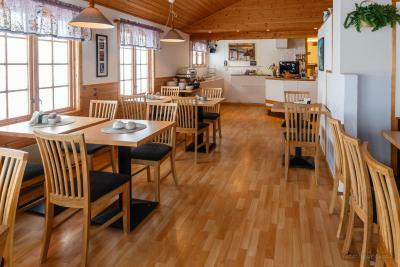 The village of Honningsvåg is 12 mi to the south and has a shop for groceries. 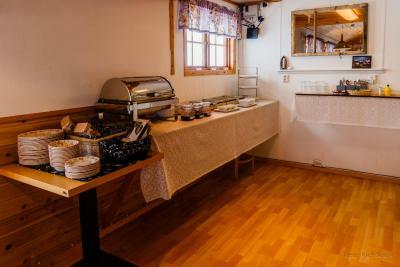 Kirkeporten Camping has a small café on site with an à la carte menu featuring local specialties. There is also an on-site kiosk selling basic groceries. 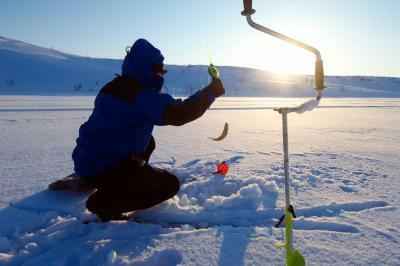 Diving tours, fishing trips and other activities can be organized through a partner company. 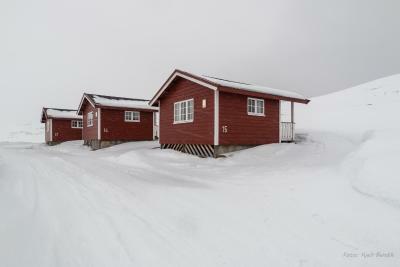 Guests can also explore the area independently, with Nordkapp, the northernmost tip of Europe, just 7.5 mi away. 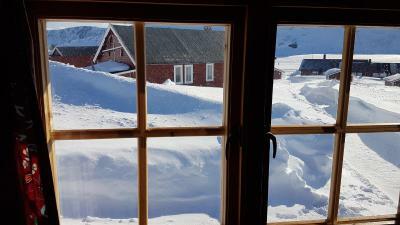 This property is also rated for the best value in Skarsvåg! Guests are getting more for their money when compared to other properties in this city. 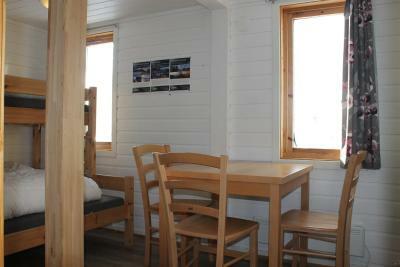 When would you like to stay at BaseCamp NorthCape? 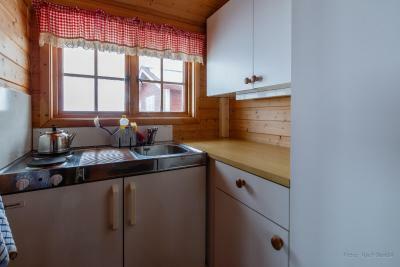 This cottage comes with a cooking hob and fridge. 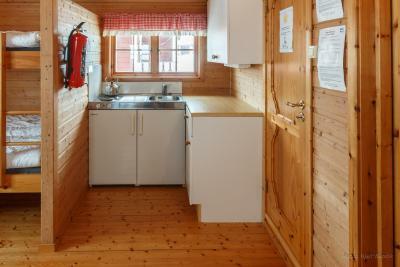 This cottage comes with a kitchenette and a bathroom. 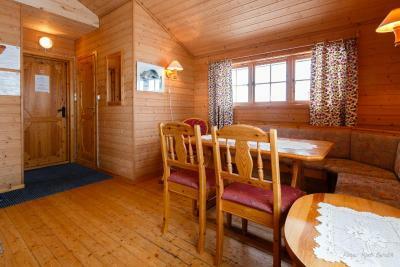 It sits on the shores of Storvannet and has impressive views of the surrounding nature. 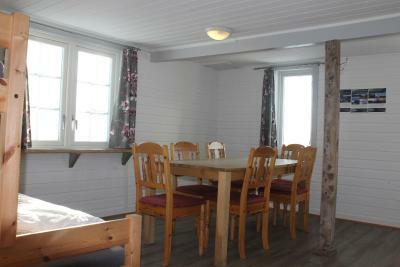 This cottage comes with a kitchenette and a bathroom. House Rules BaseCamp NorthCape takes special requests – add in the next step! BaseCamp NorthCape accepts these cards and reserves the right to temporarily hold an amount prior to arrival. Bed linen and towels are not included. 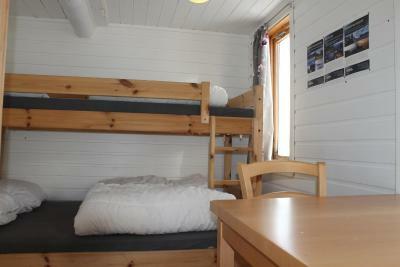 You can rent them for 85 NOK on site or bring your own. You can use the Special Requests box when booking. Check-in hours vary according to the season. Please contact Kirkeporten Camping for further details. Please inform BaseCamp NorthCape of your expected arrival time in advance. You can use the Special Requests box when booking, or contact the property directly using the contact details in your confirmation. The bunk bed was too squeaky and therefore seemed fragile. Actually no Wifi connection. You had to pay extra for sheets and towels and for the amount we paid for one night this should also be included in the price. There was no toaster and all the kitchen utensils need to be updated as they are well used and old and new washcloth for the sink and new tea towels would be a definite bonus. The mattresses also need an update as they are quite old and lumpy. Beds are not very cozy and there is an extra charge applicable for bedlinens and towels. There is not much hot water capacity, but that is probably to be expected in a location like this. 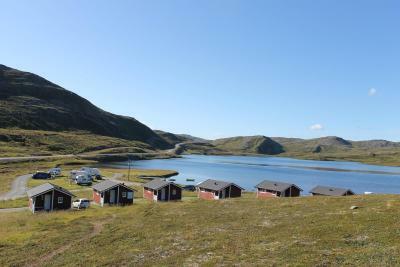 The accommodation was a 5 minute drive from the starting point of the convoy to North Cape. 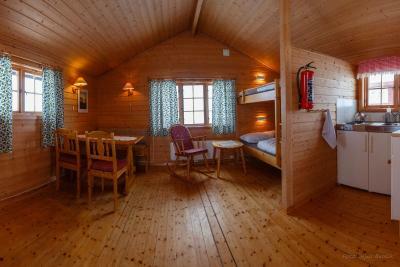 The cabin is spacious, cozy and warm, the beds are cozy and it was spotless. There was space for parking next to the camping and the heating was turned on before we arrived. 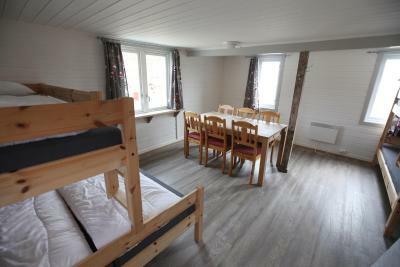 The cabin is good value for money and is has all you need. No towels or bedlinen included, no information on that, 8.5€ additional per Person. Really close to the north cape, reindeers directly behind the cabin. Parking right next to the cabins. Quite close to Nordkapp. It is in a very small town, with fantastic fjords view. 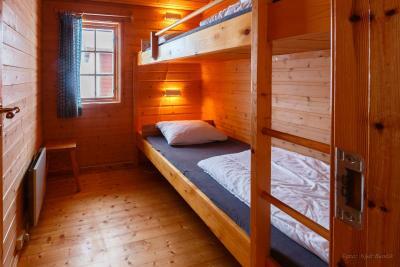 The cabin is clean and comfort. Overall speaking a great location for a stopover towards the north cape. The host is very kind and helpful. The kitchen was minimally stocked. It could have used an extra kitchen towel. The bathroom did not have a trash can so all items had to be taken to the kitchen trash, which was only a minor inconvenience. Nice gentleman, always helpful! He introduced environment for us is grateful. Good location，neat and tidy environment . There were many things to be improved... I think.. this was the worst accommodation during my 18 days travel in this time, or including before. I don't understand quite high reputation in booking.com. 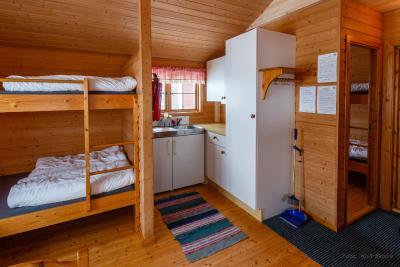 this is overpriced comparing other similar accommodations however I guess may be similar overpriced in this area as near north cape which is quite isloated but famous area. 1. room is smelly - when I opened the door after check-in, there was strong smell of sweat (of men) so I immediately open all doors and windows. after 1 hour I close all and place my sheets (cost seperately) and lay on the bed, I couldn't sleep because of that smell. as I was very tired that day so tried ignoring but that smell was too strong to sleep. I realised these smell came from the pillow, blanket... so I used my own. I think many people used use those pillow & blanket without sheets, not to pay for rent it. anyway that smell was not gone away, so I bought a candle from the market (the nearest one is in Honningsvag - 25 mins drive) using it therefore next day it was a little better 2. bathroom was not bad, but worn out and also smelly - not a toilet smell, but it was a kind of unpleasant water smell, frame and finishings are worn out, crack and carvings by scrabbling, it was hard to lock the door as twisted and broken handle, mirror was dirty, shelves were broken, corridor floor was uneven. 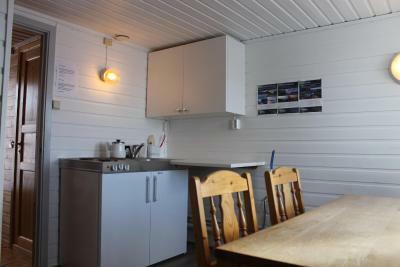 3. kitchen was too small and also didn't look so nice (also not bad) 4. it was good location just for the nordkapp, however, nothing else. there is nothing around, so it was bored for other times for nordkapp. 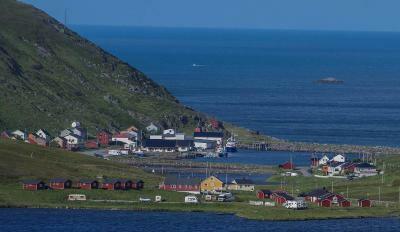 the nearest town with food store or restaurant/cafe, or even just walking around, is Honningsvag. 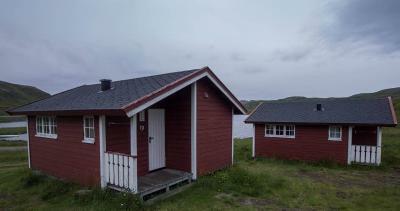 I regretted the accommodation (maybe youth hostel) in Honningsvag would have been the better choice, especially as the bad weather that time. 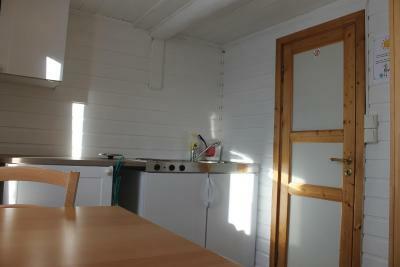 5. in the cabin, there were cooker and fridge, and no more. cooker looked too old so I didn't dare use it. Beautiful location surrounded by few hikes and near North Cape Plateau. 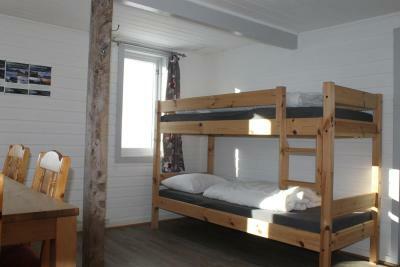 Nice cabins with kitchen available 24hours. Owner is local from Skarsvåg and has the best stories ever. Obsolete and unattractive kitchen and bathroom. 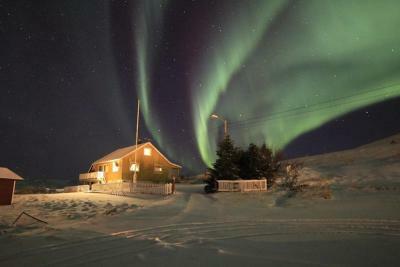 Good location near the North Cape and aurora spotting locations. Good price/value ratio. we arrived to the place when it was almost closed due to the end of the season, nevertheless the owner cooked a delicious meal to us four people and spent time to explain all about the area. it was a very warm hospitality and great meal.